Hondas have a long-standing reputation for quality and evergreen appeal. Hondas are the equivalent of buying smart, sensible, decent-looking shoes–it makes sense, but it doesn’t necessarily make you happy. But if being sensible is the claim to fame, Hondas ought to be worried about Kia. Kia combines impressive quality and a commitment to style with a warranty that can’t be beat. 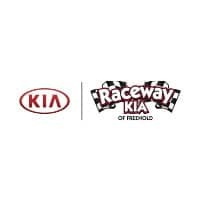 In both 2016 and 2017, Kia came in at the top of the JD Power Initial Quality Survey results, demonstrating how impressive the brand has become in terms of style. But what truly sets Kia apart as a brand is its style–youthful, playful, exuberant, and risk-taking. Add to that dynamic combination an incredible warranty–coverage for 10 years or 100,000 miles–and you can see why Kia is the right choice for people who don’t just want a sensible car. You should have both sense and style, substance and happiness–and Kia can give you that.